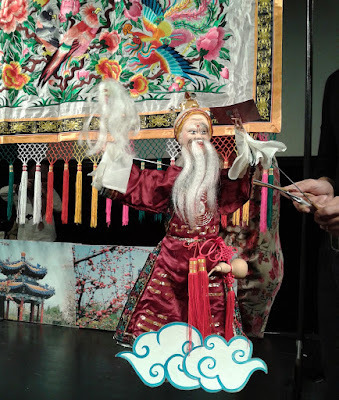 Teochew* Puppetry is a form of puppetry that narrates tales and legend through the use of marionette puppets. 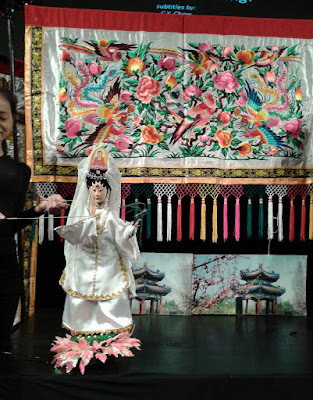 Last Sunday, Pusaka presented a Teochew Puppetry show at Black Box, Publika by Kim Gaik Low Choon Teochew Puppet Troupe from Penang. 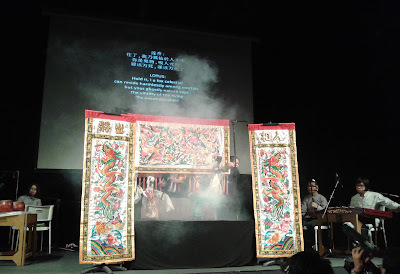 The troupe performed the 'The Love of the Celestial Fox,' a love story about a thousand-year old celestial fox who fell in love with a mortal man. 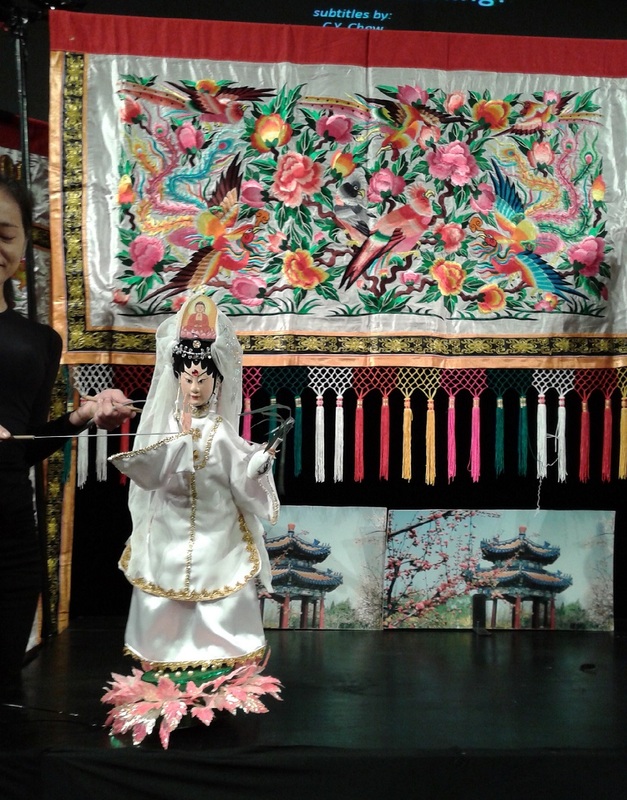 The troupe is led by master puppeteer Ling Goh, who is a third-generation traditional Chinese opera performer and puppeteer. Her mother and other family members are also part of the troupe. They are the last remaining troupe of its kind in Penang. 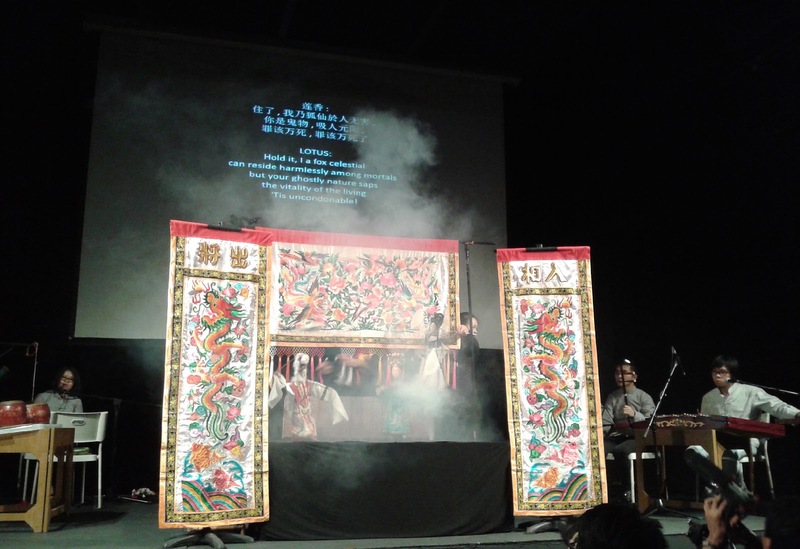 The show is part of the Pusaka Evenings, a series of cultural traditional performance from Malaysia that is free and open to all. It is organised by Pusaka, a non-profit organisation which works to preserve and support traditional performing arts in Malaysia. *Teochew people are Chinese people originated from the Chaoshan region of eastern Guangdong province.